ssGSEA identifies immune cell pathway enrichment in PDGFRA-mutant GIST. 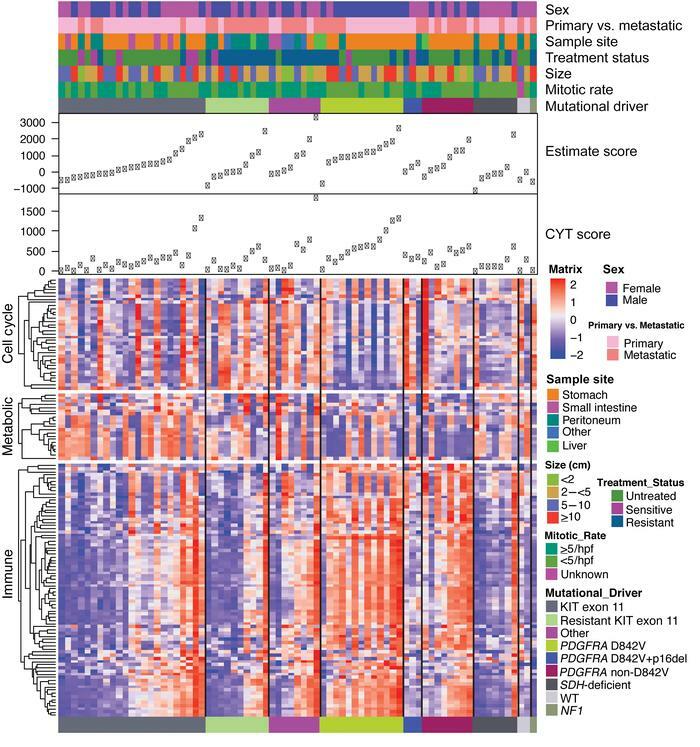 ssGSEA of 75 GIST specimens, organized by mutational driver and increasing ESTIMATE score. Unsupervised row clustering grouped gene sets into 3 major categories based on cell cycle pathways, metabolic pathways, and immune pathways. Clinicopathologic characteristics of the 75 GIST specimens are shown in the annotation and in Supplemental Table 1.